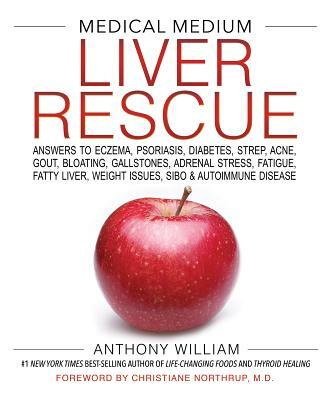 Anthony William, #1 New York Times best-selling author of Medical Medium Thyroid Healing: The Truth behind Hashimoto's, Graves', Insomnia, Hypothyroidism, Thyroid Nodules & Epstein-Barr; Medical Medium Life-Changing Foods: Save Yourself and the Ones You Love with the Hidden Healing Powers of Fruits & Vegetables; and Medical Medium: Secrets Behind Chronic and Mystery Illness and How to Finally Heal, was born with the unique ability to converse with the Spirit of Compassion, who provides him with extraordinarily accurate health information that's often far ahead of its time. Since age four, when he shocked his family by announcing that his symptom-free grandmother had lung cancer (which medical testing soon confirmed), Anthony has been using his gift to "read" people's conditions and tell them how to recover their health. His unprecedented accuracy and success rate as the Medical Medium have earned him the trust and love of millions worldwide, among them movie stars, rock stars, billionaires, professional athletes, best-selling authors, and countless other people from all walks of life who couldn't find a way to heal until he provided them with insights from Spirit. Anthony has also become an invaluable resource to doctors who need help solving their most difficult cases.